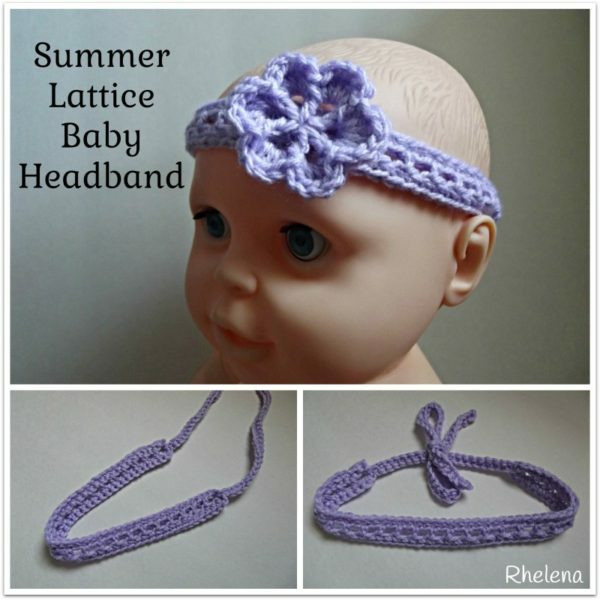 This adorable crochet baby headband pattern features a very simple stitch pattern that works up quick enough for a last-minute baby shower gift. It looks great on its own, but with the flower, it’s a super cute design. It’s modeled on a 6-month old, but it ties at the back, so it’s adjustable for other sizes as well. And if you need to, you can increase or decrease the starting chains in multiples of 2 for a custom length. 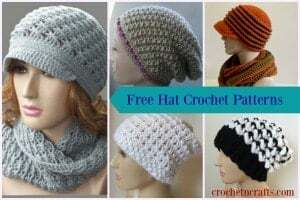 That means you can easily crochet one for yourself too! I did both the flower and the band in the same colors…. because I’m boring when it comes to colors. But looking at it now, I think it would look lovely if done in complimenting colors. 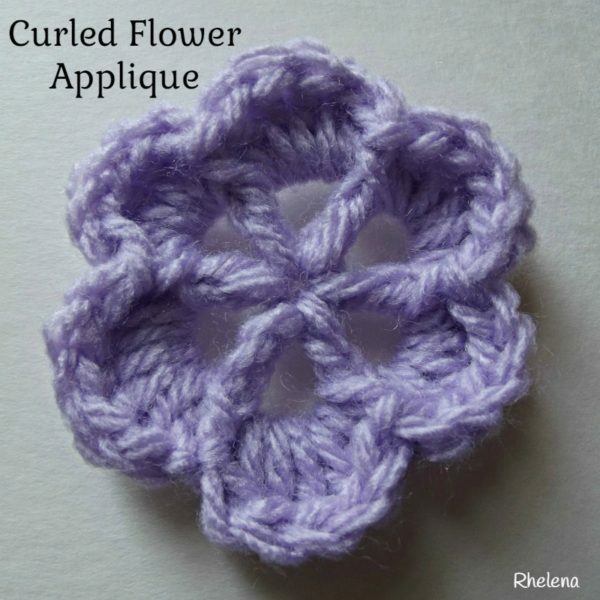 And if you don’t like my flower, you might like this rose applique or perhaps you’ll find something of interest here at CPB: Crochet Flower Appliques. The great thing about a baby headband such as this is that it doesn’t require much time or yarn to make one. You can use up your stash, or mix and match to match other baby items. Gauge: 1.5″ over 6 sts. Row 1: Loosely ch 50, Turn your chs and working into back bumps, sc in 2nd ch from hook and in each ch across. (49 sts) Turn. Row 2: Ch 1, (hdc, ch 1) in first st, *sk next st, (hdc, ch 1) in next st; rep from * across. Last ch-1 made counts as turning ch. (24 ch-1 sps) Turn. Row 3: Sc in first st and into each ch and st across. Do NOT FO. Strings: Turn to sl st into side of hdc, *loosely ch 40, working in back bumps, sc in 2nd ch from hook and in each ch across. Sl st into side of hdc. FO. Join yarn to hdc on opposite end and rep from *. Attach the flower onto the headband. Or, use any other applique that you like. Rnd 2: Ch 1, *fpsc around base of first dc, 5 dc in ch-2 sp; rep from * around; join with sl st in first fpsc. FO. Add this pattern to your Ravelry account.